Charles has been a computer technician since before the dawn of the internet; since the beginning of Microsoft Windows. He read his first computer manual in the early 1980s, and was hooked. When the internet began, he disected the web pages that he saw, in order to learn how they were made, and the rest is history. Now he has expanded his knowledge to graphic design, website repair, technical support, and computer repair. 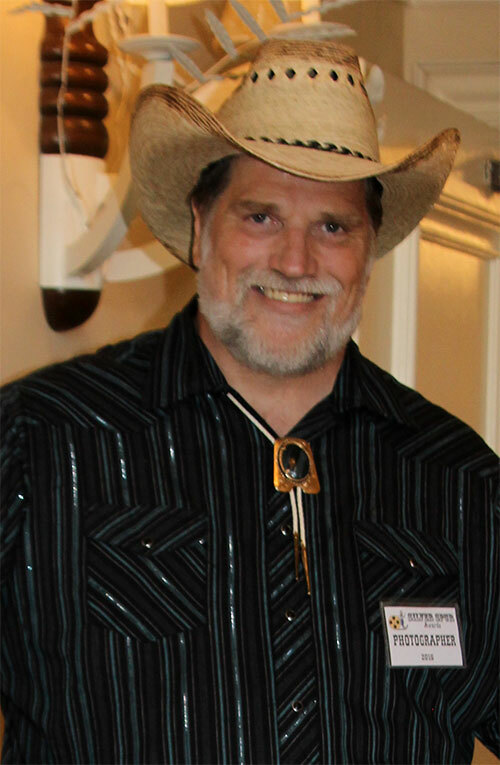 Charles joined the Reel Cowboys in January, 2015. Since joining, he has been invaluable in helping us prepare each year's Silver Spur Awards Show by helping to design the 30+ page program, 30' backdrop banner, all flyers, tickets, and posters, etc. He has also begun work on maintaining and updating this website along with several others owned by the Reel Cowboys.